In our seven years of marriage, my husband and I have spent over two years apart. My husband has deployed four times in those seven years. I went through those first two deployments without a personal relationship with Jesus. Because of that, those deployments were really hard. I am a cradle Catholic. But at that point in my life, I had fallen away from the Church. My husband and I would fight all the time. It was mostly because I was overly sensitive and pouted about things that I didn’t need to. I hated not feeling the connection with him that I was used to while he was home. I didn’t know how to handle that. I was so desperate to create a connection, I would say anything and often start a fight over nothing. In the midst of those fights, I would want him to feel guilty about the smallest things. This is not only immature in a marriage, but one of the last things a deployed husband needs! During the third deployment, I gave birth to our fourth son a month after my husband had left. He watched the entire birth on FaceTime 7,000 miles away. That is probably the most difficult thing I’ve gone through in my life. It was bittersweet meeting this beautiful new life my husband and I created together, but with him merely on a screen. My heart ached more than I could bear. I longed to kiss him to congratulate him on the birth of his fourth son. All I could do was say, “I love you,” and look into his eyes glistening with tears. Looking back now, I wish I would’ve had a stronger faith and an actual relationship with Jesus then. I would have felt much more comfort even amid the suffering. Allowing Jesus to take over that cross for me would have made the experience completely different. I became very depressed being alone and exhausted taking care of our four young boys in a brand-new area (we had just moved to Erie, PA). I was searching for a way to fill that void by eating a lot, watching TV I shouldn’t, and shopping online. These actions were only hurting me more. One day in late October 2016, I came across a marriage devotional advertised on Facebook that I ended up purchasing out of the blue. This devotional shook me to the core and completely opened my eyes to how I had been treating my husband through my words and actions, and—even more shockingly—how I had been treating God. It was then that I began an actual relationship with Jesus. As a result of that new spiritual relationship, I had also never felt so close to my husband despite the 7,000 miles between us. Prayer became my lifeline during that deployment. 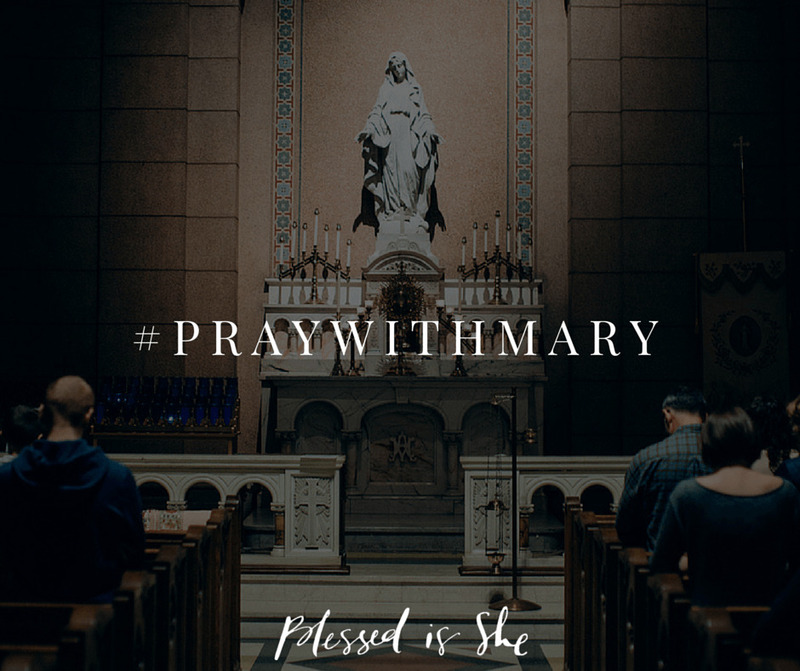 Prayer became that connection to my husband that I had been seeking. My soul grew even hungrier for prayer, and it became my route for daily conversation with my Savior. I learned to pray endlessly for my husband, for protection over our marriage, and when we encountered problems. The peace that followed those prayers was a new kind of peace I had never experienced. I just knew everything was okay. My anxiety dropped drastically and I was able to enjoy my life and my marriage again. This new relationship with Jesus eventually led me back to the Catholic Church. 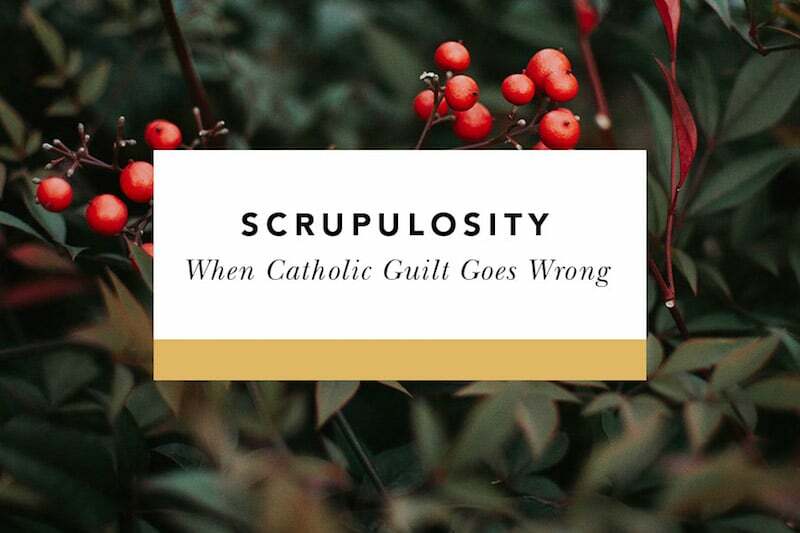 At first, I was resistant, thinking the amazing messages I found in the devotional I loved so much wouldn’t be matched by the Catholic Church. I didn’t think I’d find anything relevant in the Church. 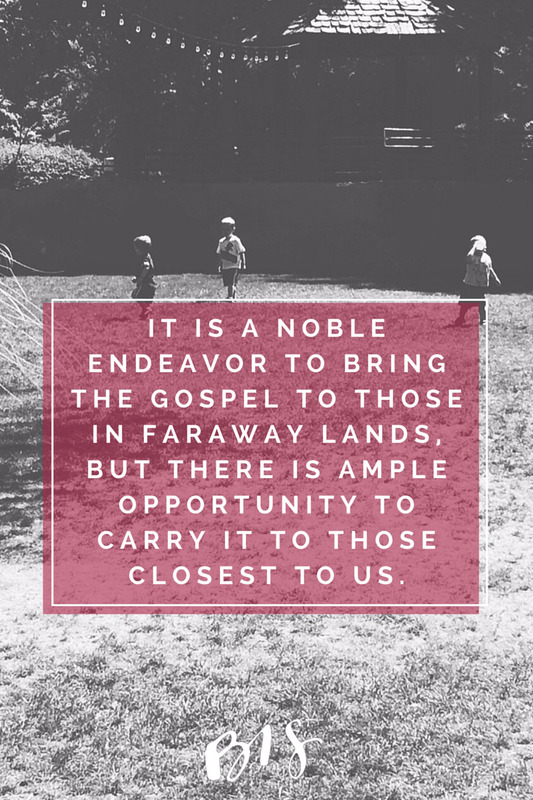 I also didn’t expect to find fellowship, or even people who loved the Faith. But I was proven wrong (thank goodness!) and returned to the Church, stronger than ever, in April 2017. My husband deployed again January 2018-July 2018. It was by far the “best” deployment. It was still insanely tough, but the burden was easier to bear. I was pregnant with my fifth with horrible morning sickness and taking care of four young boys. But there was a new peace. I finally allowed the Eucharist to become my strength. Going to church was no longer something I felt obligated to do—it became the one thing I looked forward to the most each week. I finally found what I needed to survive the deployments with grace and a new hope each day. My marriage was strengthened, and my motherhood was strengthened through this new relationship with God. I could handle a lot more that came my way when I finally allowed Jesus to carry me through it. I participated in a video for Fr. Larry Richards’ Foundation, The Reason for Our Hope Foundation. That video can be found here. 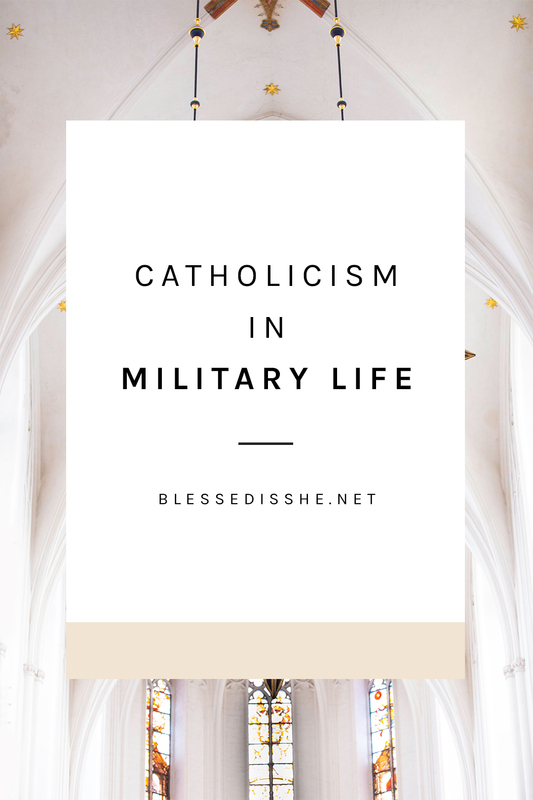 Catholic News Agency just released this post about a brand new Catholic marriage enrichment program for military couples that will be available for those in Canada and the United States. Are you or your spouse serving your country in the military? We are grateful, and we are praying for you! Elaine is a mother of five ages six and under, a military wife, and a writer for the Catholic Charismatic Renewal office for the Diocese of Erie, Pennsylvania. She loves big family gatherings and books about conversion stories. If she’s not surrounded by beautiful chaos, you can find her here.